The Circle of Land and Sky defines a reflective space within the desert, composed entirely of the environment’s two most prominent physical characteristics -- land and sky. Formed by 300 geometric reflectors angled at 10 degrees, the artwork directly engages with the Sonoran surrounding and the endless heavens. 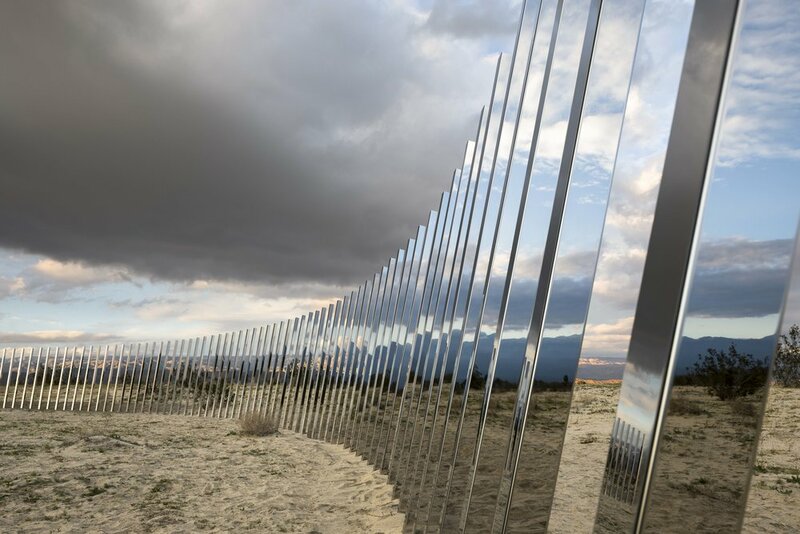 As the light shifts and the viewer moves through the installation, land and sky are separated, merged, and displaced, subverting one’s assumed relationship with the desert horizon. At times, the sky is pulled down to the land or the land lifted up to the sky, while the colors of the west may merge with the colors of the east. It is a constantly changing installation that can never be seen the same way twice. Desert X 2017 is permanetly closed. The artworks have been removed.